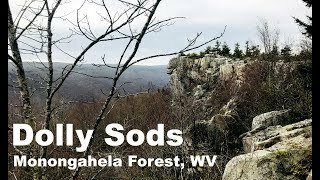 Located in Grant, Randolph and Tucker Counties, West Virginia, the Dolly Sods Wilderness spans over 17,371 acres in the Monongahela National Forest. The Dolly Sods Wilderness, which is part of the National Wilderness Preservation System, contains much of the Red Creek drainage and contains heath and bog eco-types, more commonly typical to southern Canada. The northern end does not have much water available at the campsites. Be sure to bring plenty of water!